Tucked far enough away from urban Florida to offer some seclusion, Gold Coast Christian Camp in Lake Worth offers an opportunity for groups to get together. The camp is 38 miles north of Fort Lauderdale, but the its food, housing and recreational activities make the drive worth it. Guests can take advantage of the small pond with available canoes and kayaks. Air-conditioned cabins with bunk beds and indoor plumbing accommodate up to 88 visitors. All meals are prepared in the facility’s kitchen and served buffet style. The staff’s goal here is to connect youths or adults to their faith through outdoor activities. Duncan Conference Center in Delray Beach, is 27 miles north of Fort Lauderdale. This Episcopal center offers programs and private retreats for groups from any religious background. The center accommodates up to 80 people in semi-private rooms. 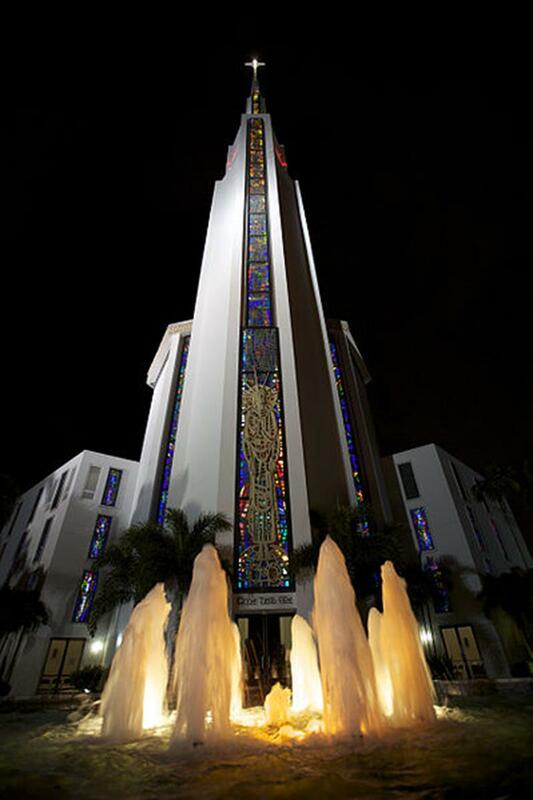 Coral Ridge Presbyterian Church is one of the most famous and visually striking churches in Fort Lauderdale. Services have often appeared on national television. The large stained-glass windows, detailed stone carvings, enormous pipe organ and numerous musical performances have drawn religious travelers for many years. Fort Lauderdale usually has wonderful sailing conditions. 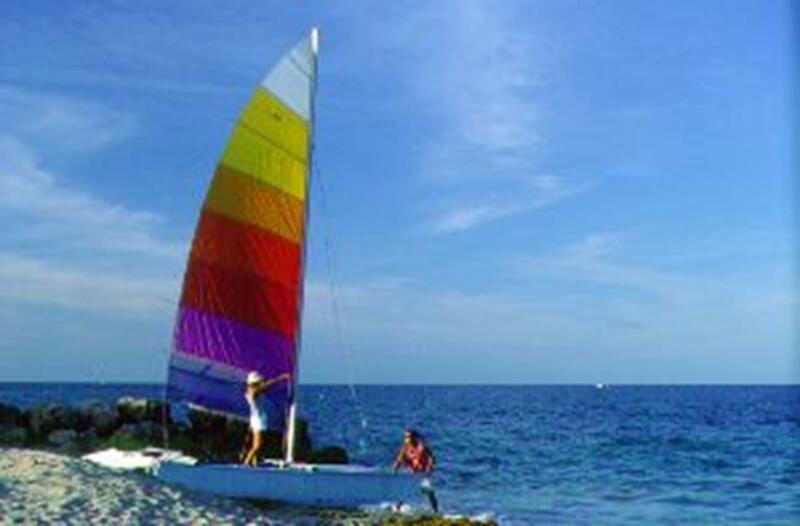 Your group can charter a sailboat with Tropical Sailing, a company that offers three catamarans from 40 to 78 feet long. Catamarans give a more stable ride than similarly sized mono-hull sailboats. Guests can choose from three different sailing packages or customize their own charter experience. Warm Atlantic water and sandy beaches invite anyone with a swimsuit. Over 23 miles of beachfront stretches across the greater Fort Lauderdale area. Vigilant travelers might encounter sea turtle nests (don’t touch!). Exclusive homes and expensive yachts dot the shores of the numerous canals in Fort Lauderdale. Carrie B Cruises gives visitors a chance to take in some of the extravagance during 90-minute, narrated sightseeing cruises. The 112-foot Carrie B has an open upper deck and a large, air-conditioned main cabin. At the Sea Experience in Fort Lauderdale, guests can snorkel and scuba dive under expert supervision. Their glass-bottom boat shuttles between scenic dive sites, offering opportunities to get up close to the underwater flora and fauna. The Jungle Queen Riverboat sails up the New River to the company’s very own Tropical Isle. Here guests can see a variety of tamed and wild animal shows or saunter in the natural foliage. The tour boats give a unique view of downtown and historic Fort Lauderdale. The International Boat Show comes toFort Lauderdale in late October. A huge variety of boats from small runarounds to private yachts will be on display from manufacturers around the world. Attractions during the show include The Blue Wild Dive Show, IGFA’s School of Sportfishing and Hook the Future’s Kids Fishing Clinics. Summer weather nearly all year round makes Fort Lauderdale a perfect place for religious travel groups. From sunbathing on the beach to water sports and cruise excursions, it offers the best of South Florida.